We would like to congratulate Mafalda’s Bourbon team, for the Honorable Mention in Bial CLinical Medicine Awards. 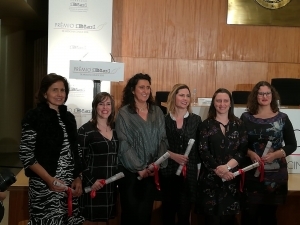 The study “Translational Medicine in Familial Hypercholesterolaemia: from phenotype to genotype”, coordinated by INSARJ and BioISI researcher Mafalda Bourbon was distinguished with a honorable mention by the Juri of the Bial Clinical Medicine Awards 2018. The work describes the current knowledge on diagnosis and treatment of Familial Hypercholesterolemia and supports the integration of results from basic research in clinical practice. Congratulations to Mafalda and her team!